Today we want to focus on the season changing. It might not be the best news to some and others are counting down the days until the leaves fall. Either way we want to highlight activities that take place in early fall. These all take place outside! 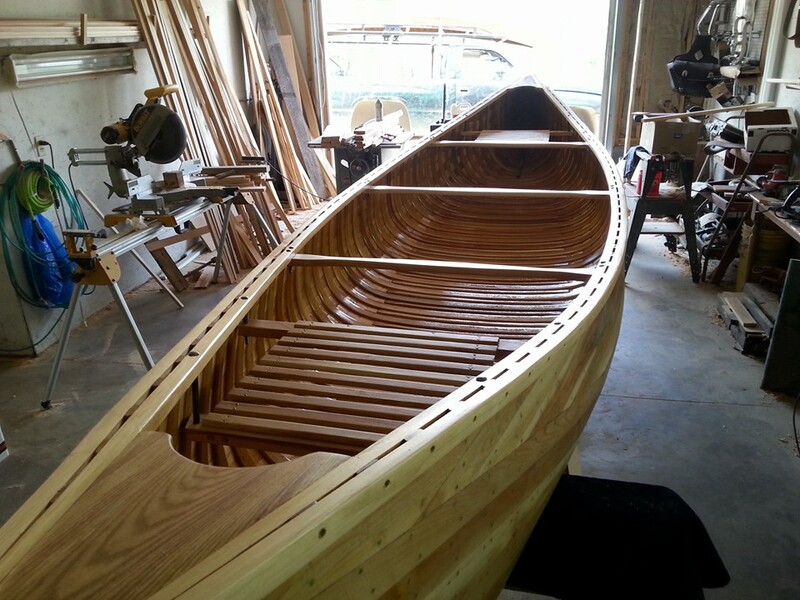 First lets start with a gorgeous canoe that we imagine drifting down a river taking in all of the beauty of fall! 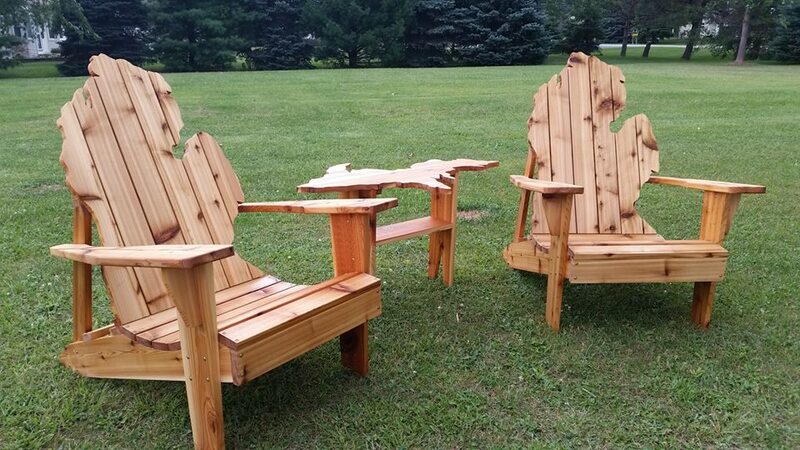 After a Canoe ride you can sit back and relax with a drink in hand or a few snacks on that awesome table! If you are looking for a little more comfort we have that for you! Here is a swing that should last for years. Just kick back and watch the action in comfort. 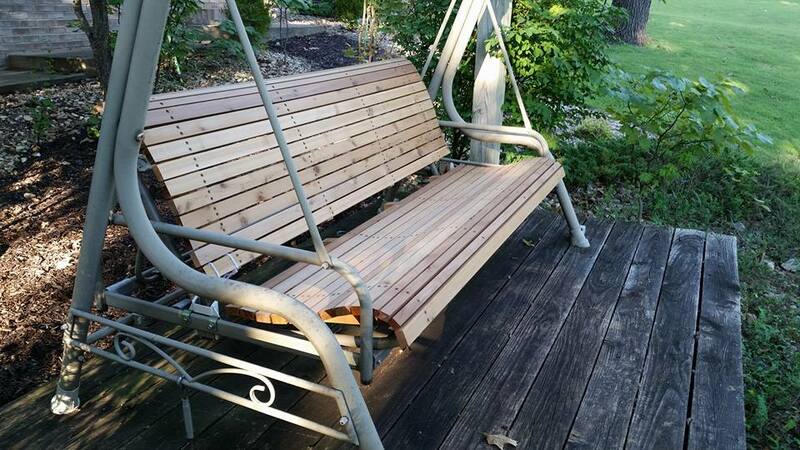 Here is a swing I converted from padded cushion to cedar wood. I had replaced the whole pad once brgore but the squirrels kept chewing through to get the stuffing for their nests. Anyway it turned out to be a very comfortable swing like this. I started with rough cut 2×6 cedar, ripped the slats after planing and squaring up the 2×6’s. Then I planed all the slats and pre-drilled all the screw holes and countersunk them. It is very solid. Hopefully the squirrels don’t bother it and it should last a long time.